Cheetahs are big cats famed for being the world’s fastest land mammals. Characterized by their slender bodies, distinctive spotted coats, long thin legs, deep chests and small heads, cheetahs are talented daytime hunters that chase gazelles with bursts of speed that can go from 0-60 mph | 27 km/h in three seconds. 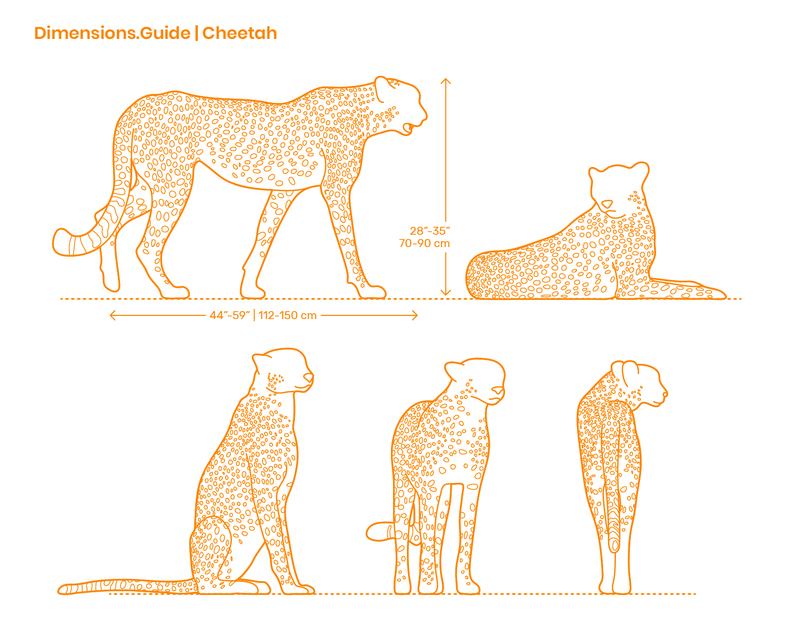 Cheetahs have overall body lengths between 44”-59” | 112-150 cm, heights of 28”-35” | 70–90 cm, and weigh from 77-143 lb | 35-65 kg.